The government was aiming to reach an agreement with Brussels by the end of the year and had promised to seek Parliament’s approval for both deals in one go. But according to the report it was false that MP’s will be faced with an either 'yes' or 'no' decision, with their vote potentially able influence the outcome of Brexit far more than the government was expecting. Among some of the options available to lawmakers, the Institute for Government says parliament could amend the motion on the UK's withdrawal and the future framework with the trading bloc by seeking a renegotiation, voting to force the government to keep the UK in the EU, pushing the government to leave without a deal or ensuring there is a referendum on the final withdrawal terms. MPs could also vote against the motion, which might send David Davis and his team back to the negotiating table or prompt a general election. 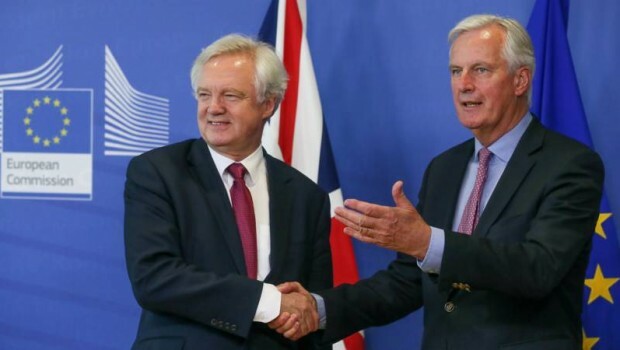 The think tank also expressed concern about the lack of time available to renegotiate the terms of any deal with the EU should Parliament decide not to approve either of the two agreements in their original form. Indeed, in itself that could see the UK crash out of the EU without a withdrawal agreement in place or push the actual exit date back. It was also concerned about the potential for both agreements to become "matters of confidence" with Downing Street threatening to table a motion for a general election or the Prime Minister resigning as leader of the Tories, or on behalf of her Government, if the deals were not approved by parliament.